I’ve made Madeleines few times before . And i remember the very first time i was skimping on buttering the mold and ended up ruining madeleines . But they all turned out nice as far as i can remember . 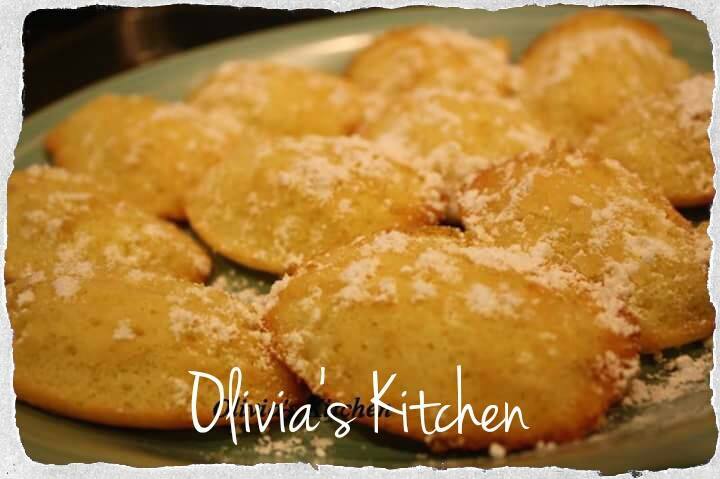 Fast forward , the other day i decided to try this recipe from Baking Chez Moi book that my hubby ordered for me around Christmas time . I did mention i wanted this book , i like Doris Greenspan’s cook book , so i figure i might enjoy her french baking book just like the french cook book . The first recipe i tried was the marble cake , it was good but quite heavy and a little on the dry side . This time my choice landed on Lemon Madeleines , i barely have anything in the fridge so my ingredients were quite limited . Lemon madeleines doesn’t even need many ingredients just butter , flour , sugar , egg , and lemon . Funny thing , you don’t even use the lemon juice , just the zest ! I followed the recipe to the T , lemon madeleines that i made before this , didn’t take this long . Okay the batter didn’t take long to put together BUT .. the waiting period was total of 2 hours !! So after making the batter , i had to chill it for an hour in the fridge , guess you can always try to get the batter ready even a day before if you want to save time . Then i would spoon the batter into the molds and again i had to chill it for another hour in the fridge . And how long to bake them ? Only 10 minutes in my convectional oven ! LOL .. all of the waiting .. and only 10 minutes baking time , oh and did i mention only produced 12 madeleines ? LOL .. but totally worth it .. The madeleines was all puffed up i never seen it that huge ! I opened my oven and i was there .. scream in delight .. it is huge !!!!!! 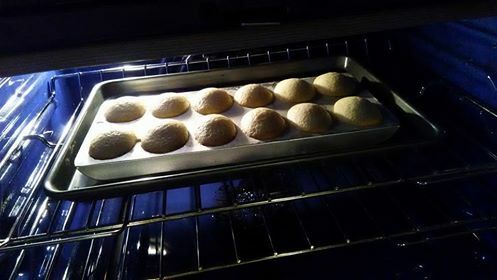 My husband laughed and laughed .. for me getting so excited to see my madeleines look so good . 1. In a small bowl mix the all purpose flour , baking powder and salt , whisk well , set aside . 3. Once you’re ready , beat the sugar and 2 eggs vigorously , or use standing mixer , and about 2-3 minutes it will look very pale and double in size . Then add vanilla and honey , mix well . 4. FOLD in the flour , do not beat with mixer , use spatula or wooden spoon , carefully and gently , then add the warm butter , fold in carefully and add the milk . 5. Chill the batter in the fridge , cover the batter with plastic wrap directly onto the batter , chill an hour . Once you’re ready butter the madeleine mold and flour it , and remove excess flour . Spoon a dollop of the batter into the pan , chill for another hour .